Water Heaters Only, Inc has many property management clients that rely on our expertise and availability to repair or replace the water heaters for there tenants. Having a tenant with no hot water is never a pleasant situation. 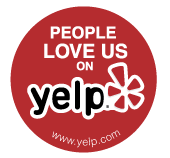 Our commitment to excellent service has kept our property management clients loyal to our company and we value our clients. One way we like to keep in touch and thank our clients is by participating in the local apartment associations and attending their annual trade expos. 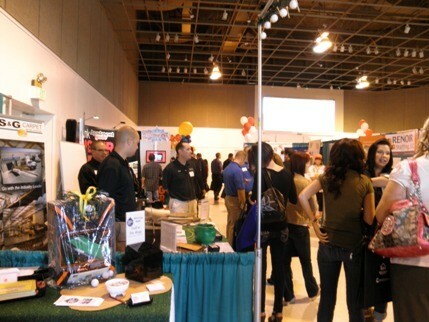 One of our favorite events to attend is the local Sacramento Rental Housing Associations’ annual expo. This event is hosted at Cal Expo and is a great way for us to connect and show our appreciation to our clients and showcase our company to prospective clients. We don’t often get to spend quality time with our clients outside of the office; when we do meet we are either repairing or replacing a water heater and don’t have time to socialize. Having the opportunity to meet with them in a relaxed and fun environment is a real treat. 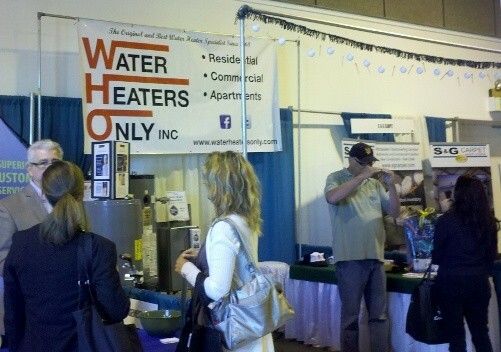 Water Heaters Only, Inc has been attending the RHA expo for a few years. Each year the RHA expo has a theme, we always participate and try to have as much fun with the theme as we can. This means dressing up, decorating the booth and having a raffle prize that all represent the theme. This years theme was Game On! We had many ideas about which game or game theme to go with, but in the end we all agreed on golf! We have a few golfers around the office and we know most of our property management clients love to golf. Totally a win – win theme choice. Once we had decided on our theme for the RHA Expo 2013, it was time to get to work on ideas about how to decorate our booth. Most of the time we are knee deep in water heaters and plumbing parts, so when we get to do something like decorate a booth for an event, we like to have a lot of fun with it. Participating in the theme makes the entire event more festive and enjoyable for all who attend. 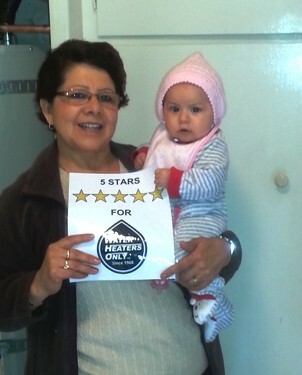 Our property management clients who attend enjoy the fact that we get involved with the theme. This is a big event where everyone gets away from the office for a day so the more decked out the better. We set up a putting green and decorated our booth with a golf theme garland and golf flags. Our table top was a “green” made of astro turf with a sand pit and all our golf hats and giveaways were placed around the “green”. To top it all off we had a raffle prize that included an office putting green, four rounds of golf and chocolate golf balls as a little treat. We also showcased our residential, commercial and tankless water heaters, at the RHA Expo 2013, so attendees had a chance to see the actual product in person. It’s great to have the products available when prospective clients want to get really technical. It much easier to discuss and show the new Ultra Low-Nox burner and blower systems with the water heaters right in the booth. 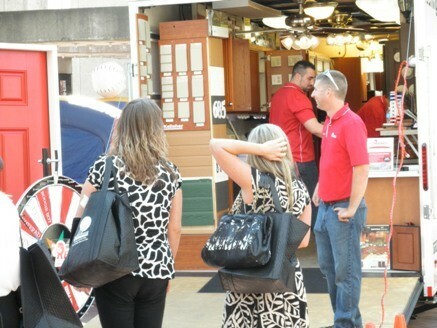 Now it’s time to get back to work and we’ll plan on seeing everyone at the next RHA Expo next year!